There is a lot of information and advice being thrown around when it comes to how marketers should handle social. That’s mostly a good thing, since we can all use more ideas and best practices about getting our messaging right. Sometimes, though, all of this helpful insight can actually get in the way of common sense and real human-to-human interaction (#H2H). In fact, I would go as far as to say that finding success in social occasionally comes down to doing it the way that feels most natural to you. Nearly every day, I see some version of an article or infographic that reads along the lines of: “6 Things You Must Do on Twitter” or “The 4 Rules of Posting Social Content.” Usually, they tell you which kinds of hashtags you have to use, how many times a day to go into your social accounts, how many times to publish self-promotional content vs memes, or what the unwritten laws of responding to other people’s posts are. Questions: Who makes up these guidelines? How are they tested and verified? And most importantly, how do we know that just because they work for one person or company they’ll work for another one? Following a formulaic approach to posting and responding online is essentially the opposite of authentic, natural social engagement. These so-called rules don’t matter… but making real connections with real people does. You can be spamming your network by posting once a day if your messaging isn’t relevant, or being helpful even if you are logging on every 30 minutes but put your focus on being a person instead of a marketer. On a related note, a recent post by Stone Temple Consulting expands upon the power of who over the vagaries of how much. I get that many of the “rules” of social networking are developed by business people who have been successful and that they can be a good starting point for new marketers. But the only guideline that really matters is the one that works for you and your contacts, however, so forget the formulas and put your attention on building relationships. Most marketers have a preoccupation with what I call “vanity metrics” – myself included at times. It’s fun to see views grow and shares shared. But while these are certainly soft indicators of interest, they don’t really mean a lot when it comes to measuring true social engagement. It doesn’t necessarily tell you that your content is actually working. That’s not the same as saying they don’t have any value, though. Beyond making you feel good about something you’ve created, those metrics can serve as a form of social proof. When someone sees that your blog post has thousands of views, for example, it imbues a sense of credibility in their mind. No different that walking past a restaurant and seeing diners sitting in the front window. The natural assumption is that the food is good. In a similar way, a high number of views, likes, and +1’s can generate traction or momentum and brings more readers your way. What you have to understand about vanity metrics as they represent a single measure of value and engagement. You don’t want to put too much stock into them, but it’s important to recognize that they can be valuable in creating strong first impressions, too. A recent University of British Columbia study (PDF) found that salespeople were more successful when they used social media to identify and create similarities (links) between themselves and their prospects or customers. It turns out people were more likely to buy when they knew they had grown up in the same area, gone to the same school, etc. That shouldn’t be too surprising. Most of us want to feel connected to other human beings and to do business with people we know and like rather than strangers – even (and especially) in the digital age. So, even if “sales” isn’t in your job title, it’s a good idea to peel back the curtain on your professional self every once in a while and let your clients, prospects, and colleagues see the actual person underneath. That doesn’t mean you should go too far and share sensitive information, overly personal photos or details, or things like political rants on social profiles that are meant for business connections. It does mean you can’t be afraid to show off a little bit of your personality if you want to stand out in a world of increasingly generic and interchangeable marketers. On social media, following the same set of rules, tips, and guidelines as everyone else is a good way to get started, but it’s also a good way to blend in completely and put a ceiling on your progress. 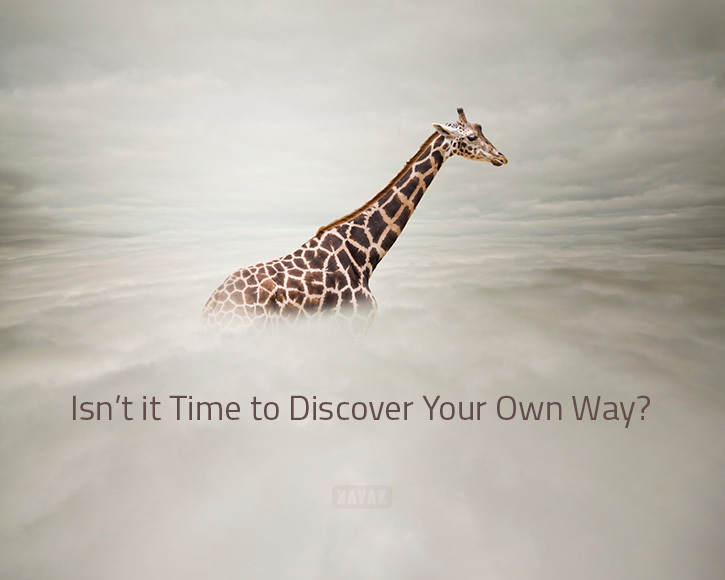 It’s a good idea to know what everyone else is up to… if only so you can break the rules sometimes and go your own way.